THE TERMS AND CONDITIONS SET FORTH BELOW (THE "TERMS") GOVERN YOUR USE OF THIS SITE ON THE WORLD WIDE WEB (COLLECTIVELY KNOWN AS THE "SITE") OF DIAMOND P LONGHORNS ("Diamond P Longhorns" - "www.diamondplonghorns.com") AND ARE LEGALLY BINDING ON YOU. IF YOU DO NOT AGREE WITH ANY OF THESE TERMS, DO NOT ACCESS OR OTHERWISE USE THIS SITE OR ANY INFORMATION CONTAINED ON THE SITE. YOUR USE OF THE SITE SHALL BE DEEMED TO BE YOUR AGREEMENT TO ABIDE BY EACH OF THE TERMS SET FORTH BELOW. All information, documents, products, data, and services provided on this Site, including graphics and images (the "Materials") are provided to you by Diamond P Longhorns. Diamond P Longhorns grants you the limited right to display the Materials only on your personal computer, and to copy and download the Materials displayed on this Site, provided that: (1) both the Diamond P Longhorns copyright notice (set forth below) and this permission notice appear in the Materials so displayed, copied or downloaded, (2) such display, copy or download is solely for your personal or internal informational use (that is, not distributed or otherwise transmitted outside of your home or company, or otherwise broadcast in any media). You acknowledge and agree that you have no right to modify, edit, alter or enhance any of the Materials in any manner. This limited license terminates automatically, without notice to you, if you breach any of these Terms. Upon termination of this limited license, you agree to immediately destroy any downloaded and printed Materials. Except as stated herein, you acknowledge that you have no right, title or interest in or to the Materials on any legal basis, without the advance written authorization of Diamond P Longhorns. THIS SITE IS PROVIDED TO YOU ON AN "AS-IS" BASIS. Diamond P Longhorns DISCLAIMS ALL WARRANTIES AND CONDITIONS WITH REGARD TO CONTENT PROVIDED BY THIRD PARTIES, INCLUDING ALL IMPLIED WARRANTIES OF MERCHANTABILITY FITNESS FOR A PARTICULAR PURPOSE AND NONINFRINGEMENT. Goods and services of third parties may be advertised and/or made available on or through this Site. Representations made regarding products and services provided by third parties are governed by the policies and representations made by these third parties. Diamond P Longhorns shall not be liable for or responsible in any manner for any of your dealings or interaction with third parties. a statement by you, made under penalty of perjury, that the above information in your notice is accurate and that you are the copyright owner or authorized to act on the copyright owner's behalf.Diamond P Longhorns's Copyright Agent for notice of claims of copyright infringement on its site is phillips.dan@tx.rr.com. You acknowledge and agree that this Site may include certain errors, omissions, outdated information which may affect the quality of the Materials and the Third Party Content. 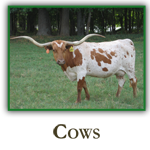 You acknowledge that neither the Materials nor the Third Party Content have been independently verified or authenticated in whole or in part by Diamond P Longhorns, and agree that Diamond P Longhorns does not warrant the accuracy or timeliness of the Materials or the Third Party Content, and further agree that Diamond P Longhorns has no liability for any errors or omissions in the Materials and the Third Party Content, whether provided by Diamond P Longhorns or its licensors. Diamond P Longhorns, FOR ITSELF, ITS PARENTS AND AFFILIATES AND EACH OF THEIR RESPECTIVE LICENSORS (HEREINAFTER THE "Diamond P Longhorns AFFILIATES"), MAKES NO REPRESENTATIONS, WARRANTIES, OR GUARANTEES AS TO THE QUALITY, SUITABILITY, TRUTH, ACCURACY OR COMPLETENESS OF ANY INFORMATION OR MATERIAL CONTAINED ON THE SITE, INCLUDING WITHOUT LIMITATION THE MATERIALS, THE THIRD PARTY CONTENT AND THE SUBMISSIONS OF OTHER VISITORS TO THE SITE. UNLESS OTHERWISE EXPLICITLY STATED, TO THE MAXIMUM EXTENT PERMITTED BY APPLICABLE LAW, THE SITE AND ANY INFORMATION OR MATERIAL CONTAINED ON THE SITE IS PROVIDED TO YOU ON AN "AS IS" AND "WHERE-IS" BASIS, AND IS FOR PERSONAL USE ONLY. ALL CONDITIONS, REPRESENTATIONS AND WARRANTIES, WHETHER EXPRESS, IMPLIED, STATUTORY OR OTHERWISE, INCLUDING ANY IMPLIED WARRANTY OF MERCHANTABILITY, FITNESS FOR A PARTICULAR PURPOSE, OR NON-INFRINGEMENT OF THIRD PARTY RIGHTS, ARE HEREBY DISCLAIMED. TO THE MAXIMUM EXTENT PERMITTED BY APPLICABLE LAW, THE Diamond P Longhorns AFFILIATES SHALL NOT BE LIABLE TO YOU OR A THIRD PARTY CLAIMING THROUGH YOU FOR ANY DAMAGES SUFFERED AS A RESULT OF YOUR DISPLAYING, COPYING, OR DOWNLOADING ANY INFORMATION OR MATERIAL CONTAINED ON THE SITE OR IN RELATION TO YOUR SUBMISSIONS. IN NO EVENT SHALL THE Diamond P Longhorns AFFILIATES BE LIABLE TO YOU OR ANY THIRD PARTY FOR ANY INDIRECT, EXTRAORDINARY, EXEMPLARY, PUNITIVE, SPECIAL, INCIDENTAL, OR CONSEQUENTIAL DAMAGES (INCLUDING LOSS OF DATA, REVENUE, PROFITS, USE OR OTHER ECONOMIC ADVANTAGE) HOWEVER ARISING, WHETHER FOR BREACH OR IN TORT, EVEN IF LIGHT READING HAS BEEN PREVIOUSLY ADVISED OF THE POSSIBILITY OF SUCH DAMAGE. 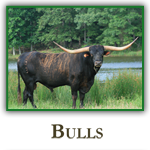 Diamond P Longhorns controls and operates this Site from its headquarters in the United States of America and makes no representation that the Materials are appropriate or will be available for use in other locations. If you use this Site from outside the United States of America, you are entirely responsible for compliance with applicable local laws, including but not limited to the export and import regulations of other countries in relation to the Materials and the Third Party Content. You agree that Diamond P Longhorns can revise these Terms at any time without notice by updating this posting. You agree that your continued use of the Site after such modifications have been made constitutes your acceptance of such revised Terms. If any provision of these Terms is held by a court of competent jurisdiction to be contrary to law, then such provision(s) shall be construed, as nearly as possible, to reflect the intentions of the parties, with all other provisions remaining in full force and effect. 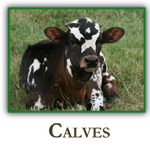 The failure of Diamond P Longhorns to enforce any right or provision in these Terms shall not constitute a waiver of such right or provision unless acknowledged and agreed to by Diamond P Longhorns in writing. The Terms comprises the entire agreement between you and Diamond P Longhorns and supersede all prior or contemporaneous negotiations, discussions or agreements, if any, between the parties regarding the subject matter contained herein.